This 2010 Limited Edition set from S.T. 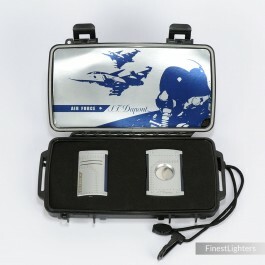 Dupont consists of a special design MaxiJet lighter and cigar cutter. It comes in a custom S.T. Dupont five-stick travel humidor. Limited to 500 only pieces worldwide. A great set for cigar lovers and collectors, completely sold out.